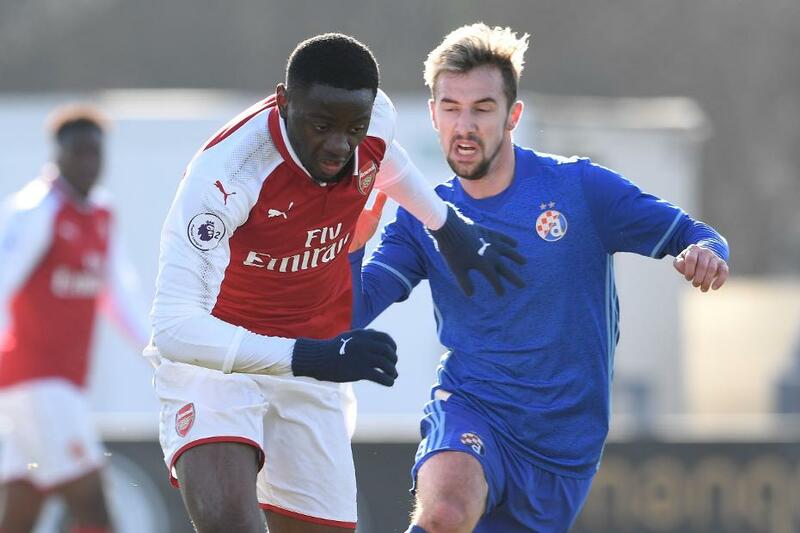 Josh Dasilva scored a dramatic 87th-minute winner for Arsenal to put them into the semi-finals of the Premier League International Cup with a 2-1 win over Dinamo Zagreb at Boreham Wood. Joe Willock had put the Gunners ahead with a powerful strike in the 27th minute. But substitute Miklic Borna levelled in the 76th minute for the visitors. But Dasilva (pictured above) ended Dinamo's unbeaten campaign in the competition with three minutes remaining. The three remaining quarter-finals are Manchester United v Villarreal, Liverpool v Porto and Sunderland v Newcastle United.